You can’t spend much time on a computer anymore without recognizing that the possibilities for intrusion, even actual meddling, are growing. 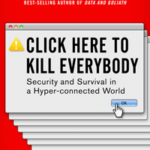 Digital security is an ever-increasing challenge. 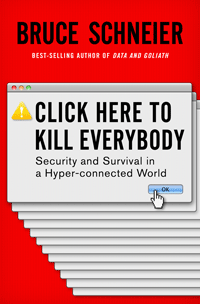 Bruce Schneier, bless him, has published a new book, “Click Here to Kill Everybody,” on internet perils.